Waypoints Navigator Application (add-on) is one of our most popular add-ons. It’s packed full of features, making this add-on a must-have for your bot. Now we have rewritten the add-on from scratch to enhance it even more. The ability to import and export your WayPoints. Slight changes to the interface, whilst keeping it familiar. 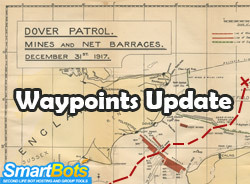 Visit our SmartBots add-ons page to start using Waypoints Navigator Application (add-on) with your bot. If you have any questions, our 24/7 Live Chat Support team is always ready to help, feel free to contact us! * If you feel you can help translating Waypoints (for a reward) please contact us. Waypoints Navigator add-on makes your Personal Bot more alive with a simple setup that allows your personal bot the abilities to sit, stand, walk, run, talk and so much more. If your land needs a tour-guide with personality, this add-on is for you! Bots with Waypoints Navigator used to have troubles being stuck in “sit” animation after standing up from objects, we’ve been working on this and were able to eliminate the problem. Your bots will now happily walk around with correct animations! For more information or questions, please contact a SmartBots Customer Support, or teleport to our in-world office. Automatic bots powered by Waypoints Navigator can now touch their attachments: wearables and HUDs. The new command “Touch attachment” has been added. The attachment object to get touched is specified by its name. For more info, check the Waypoints Prim Touch documentation page. 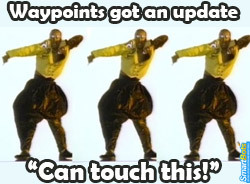 Another waypoints update for waypoints-pros! Waypoints module is one of the most popular add-on for SmartBots bots. It allows writing step-by-step instructions for your bot: walk here, turn, say that etc. 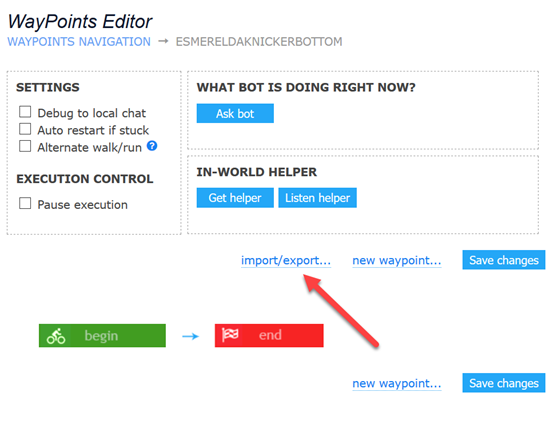 Despite of its simplicity, waypoints editor also allows composing complex instructions: for location guides (take a look in SmartBots office) or even cyborg bowling players (subscribe to SmartBots blog updates for upcoming video!). These commands are intended for advanced users, but they allow creating truly amazing alive bots! Check the Waypoints module in our Store.